Having your own plastic ain't a license to splurge. Shopping is an art form—you have to know how to shop during sale season, haggle for a good deal, and buy the perfect gifts for special occasions. And every savvy shopper knows that when used properly, credit cards can make shopping fun and hassle-free. But how exactly do you use a credit card to your advantage? Assess your income and spending habits. How much do you typically spend in a given month? Do you often find yourself dipping into your savings account to fund impulse buys? How do you plan on using your credit card? Keep in mind that credit cards are kind of like loans, and the instant gratification of a shopping spree may not be worth it down the road when you’re tied down with debt you can’t pay back. Make sure you have the discipline to stick to a budget before you apply for a credit card. 2. Go shopping (for a bank). Once you’ve decided you’re ready for the responsibility of owning a credit card, it’s time to go shopping. Do your research and compare the various fees and charges across several banks. Application fees, annual membership fees, interest charges, and late payment fees are usually posted on their official websites. Just remember: the lower, the better! Look into rewards programs in the form of cash rebates, airline miles, or gift certificates, which can often result in extra savings. Don’t be afraid to call or email about any questions you might have, and always read the fine print. You owe it to yourself to make an informed decision with your hard-earned money, and find a bank that will best suit your needs. Once you’ve found The One, you can choose to apply for a credit card online. Fill out the application form completely, and submit all required documents. Aside from a valid ID, some banks may require additional documents such as proof of income. Be sure to double-check before you hit submit. 3. Think before you swipe. The difference between using cash versus a credit card is that it is a lot easier to overspend when swiping a card, so spend as if you’re spending cash. When you use cash instead of plastic, you actually feel your wallet get thinner which makes you think twice before forking over your money at the cashier. Plus, you can’t spend once your wallet is empty. With a credit card, there is no such psychological barrier to keep you in check. Solution? Keep all credit card receipts in your wallet and have a running total of how much you’ve spent to date. It will keep you from exceeding your credit limit and avoid extra charges as penalty. 4. Always pay off your credit card bill in full or have a plan to pay it back ASAP. Remember, credit cards are one of the most expensive types of debt. With monthly interest rates at around 3.5%, that could amount to an annual interest rate of 51%! Yikes! That’s because credit card companies charge you at a compounding interest rate, meaning you are being charged interest not only on the amount you borrowed, but also on your interest. Key takeaway? Pay your entire bill on or before the payment due date. That way, you avoid interest charges for borrowing money after the due date as well as late payment charges. It’ll also go a long way towards improving your credit score with the bank, which will ultimately determine whether your card is upgraded for more privileges, or you are approved for that car mortgage down the line. Don’t be tempted to just pay the minimum amount due. By not paying in full, what will happen is your remaining balance plus new purchases will be charged interest right away. In addition to being charged interest, you actually lose the benefit of a grace period, which is the 21-day period—between the billing statement date and payment due date—you are granted to pay off your debt interest-free. It’s a vicious cycle of debt you don’t want to get yourself sucked into. 5. Keep your credit card information safe and off the grid. You wouldn’t share your credit card with a stranger in real life, so practice that extra caution online as well. When shopping online, don’t save your credit card information on websites. Uncheck that box that asks to save your details, or opt to pay using your PayPal account. You can even use PayPal without signing up for an account. 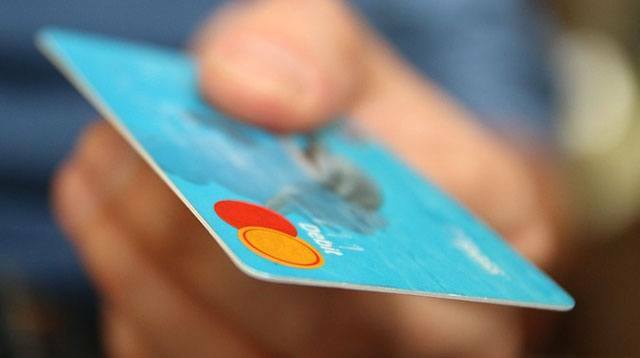 Good news: Credit cards provide more protection against fraud than debit cards. So in case something goes wrong, you can call your bank ASAP to block your card and not pay a single cent.